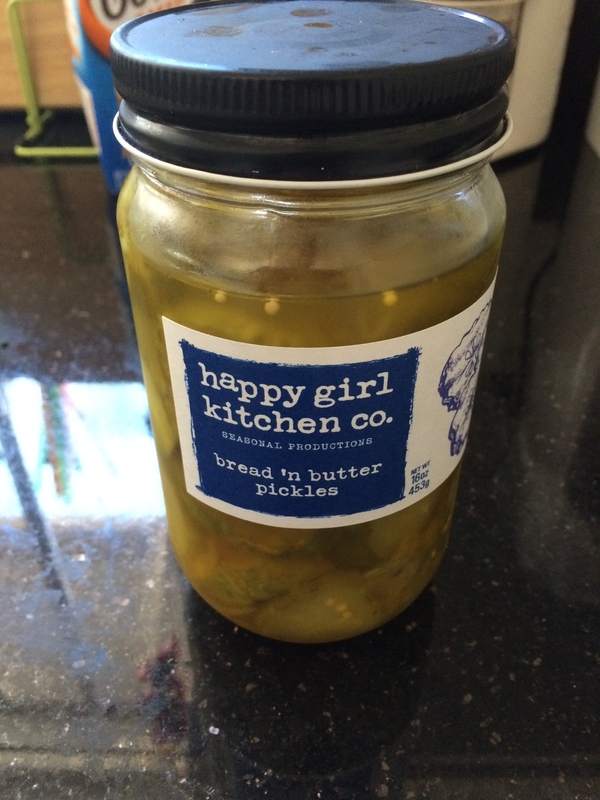 These are the bread and butter style pickles from Happy Girl Kitchen. They are pretty tasty, with a nice sweetness. Lots of sweet onion in there. Overall, they are good. I like what Happy Girl Kitchen has going on, and I like visiting their store. They serve some good vegetarian food, with a rotating set of different things available for lunch, and then even make beverages like lemonade. However, this small pickle jar was $8, and I’m not sure I can really rationalize that long term. If that price point is not a deterrent, then they are definitely worth a try. I found this great video featuring Claude Shannon, and his artificial mouse Theseus, named for the Greek hero who slayed the Minotaur in the Labyrinth, one of the earliest examples of machine learning. The mouse is able to learn how to solve the maze. Apparently, Shannon started getting involved down this track of making small robot like devices after his wife bought him a giant erector set as a present. Suppose that you’re out having a wild time in Vegas and don’t want to end up in anyone’s pictures. There is now a device for that. I couldn’t find anything more than the Fast Company brief overview, but the basic idea is that the device detects the infrared used by cameras (often used for range finding I guess) and then produces a bright counter flash in the IR spectrum to overexpose and prevent a picture from being taken. Overall, I am a bit skeptical of how efficacious this will be for most cameras, which include pretty strong IR filters already. Although, apparently sometimes they only have a filter in one of their cameras. It is also likely that fancy trickery with HDR photography would help resolve the bright part (as it is emitting IR light which is going up and getting reflected off the face as well. Anyway, it’s an interesting concept, and the general problem of preventing imaging is an interesting challenge. Maybe we don’t have invisibility suits, but we may develop ways of being invisible on the ubiquity of imaging technology. Or at least we may have an escalation of technology on that front. Given the concern people have for ubiquitous surveillance and things like Google Glass, I wonder what other technological attempts at privacy may arise. There is a nice analysis at FiveThirtyEight by Nate Silver which looked at how Michelin reviews restaurants compared to how Yelp does. They were able to look at the restaurants which have or had a Michelin star in the past few years. Do Yelp reviews predict whether a restaurant will lose a star? Which restaurant will gain a star? Does the Michelin guide have a bias against non French/European cuisine? What about Yelp?